Efforts to establish a long-term ceasefire between Hamas and Israel are ongoing as Egypt continues to mediate talks between the two parties, in addition to proceeding with reconciliation between Palestinian factions Hamas and Fatah. According to a Reuters report on Monday citing Israel’s Channel Ten News, Prime Minister Benjamin Netanyahu met Egyptian President Abdel Fattah Al-Sisi in Egypt in May to discuss a long-term ceasefire in the Gaza Strip. The situation on the border has been tense and violent since protests demanding the right to return erupted in March. Israeli forces killed more than a hundred Palestinian protesters and wounded more than a thousand. They opened fire at protesters used burning tires and fire kites. 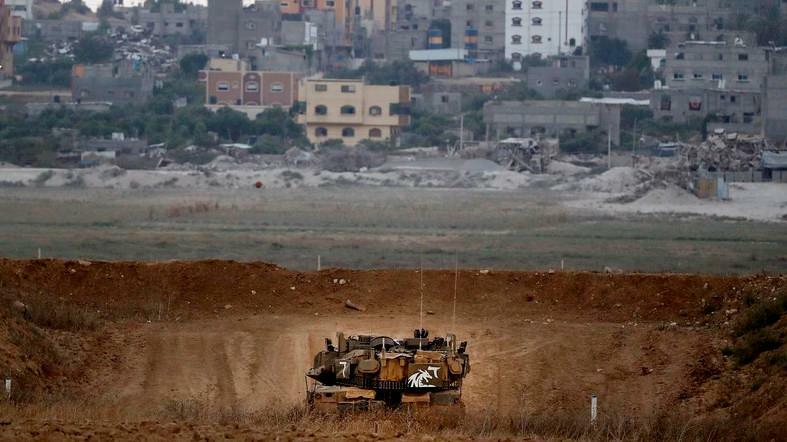 In July, Egypt and the UN brokered a ceasefire, but violence renewed in the past week, Israel launched a series of heavy airstrikes on the Gaza Strip, using the usual excuse of Hamas rockets fired into Israel. In July, the Israeli government decided to close Gaza’s sole commercial crossing, preventing all exports from and imports to the territory, with the exception, at Israel’s discretion, of food and medicine. Still pursuing a longstanding ceasefire, the UN warned Israel from dangerous humanitarian consequences resulting from banning fuel entry to Gaza. “The well-being of 2 million people, half of whom are children, is at stake. 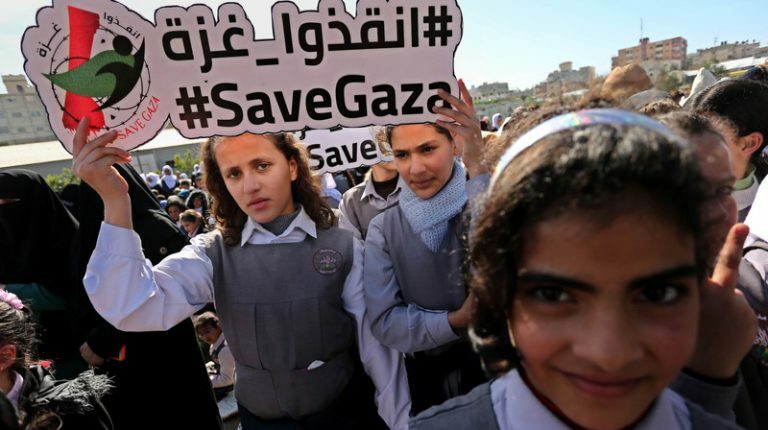 It is unacceptable that Palestinians in Gaza are repeatedly deprived of the most basic elements of a dignified life,” Jamie McGoldrick, UN Humanitarian Coordinator in Palestine said in a statement on 8 August. A UN delegation composed of aides of UN’s Middle East Envoy Nikolay Mladenov completed a short three-hour visit to Gaza Strip during which they met with Hamas leaders, media reported last Sunday. Palestinian sources told Asharq Al-Awsat that the delegation discussed with the Hamas leadership cementing the agreement to allow the resumption of talks on the proposal previously presented and the movement’s vision of the expected truce. In July, Egypt’s Foreign Minister Sameh Shoukry received Mladenov in Cairo, where he reiterated Egypt’s wish for de-escalation in Palestine and warned of the danger of the current status quo without reaching a fair peace process on the basis of a two-state solution. Shoukry also criticised what Egypt saw as threatening practices to the Palestinian people’s historical and legal rights, including Israel’s new Jewish nation law. In parallel, Egypt is pursuing efforts to install a final reconciliation between Hamas and the Palestinian Authority (PA) since the signing of an agreement on 12 October 2017. Delegations on both sides have been coming back and forth about the details of the agreement, regularly meeting in Cairo, but still accusing each other of sabotaging the process. Experts say internal reconciliation has become a must for the Palestinian people, in order to be able to face pressure such as by the US recognising Jerusalem as the capital of Israel and attempting to push forward a deal, which would deny historical rights of the Palestinian people. As a Hamas delegation arrived on Tuesday to Cairo for talks, it was reported that a recent step forward may not have been completed. The main dispute between the two sides is over power control divided between a Fatah-led West Bank and Hamas-governed Gaza. Hamas is calling for a new election, but the PA is requesting control over the strip first. Hamas also wants sanctions imposed on its government lifted, while the PA President Mahmoud Abbas expressed his wish for a Hamas disarmament. On 19 July, Hamas announced said it agreed to a proposed reconciliation bid by Egypt, which contained about 10 articles and specific time frames. According to a copy of the agreement published in the media, it included easing sanctions on the strip, including the Rafah border with Egypt. Recently, Egypt has opened the border for longer periods than ever, since it has been closed over militant-related violence in North Sinai. On 13 August, media reports said Hamas was presented another paper, from which lifting sanctions were omitted, demanding to stick to the principles of the 2011 Cairo Agreement. 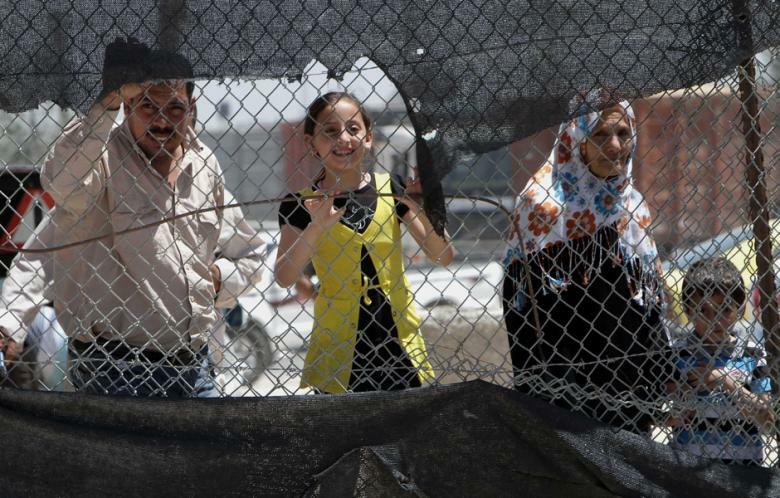 For its part, Fatah said the ball was in Hamas’ court. Will Hamas, Israel reach a longstanding ceasefire? On 12 August, The Jerusalem Post reported that multiple members from Prime Minister Benjamin Netanyahu’s Likud party said no ceasefire agreement was reached with Hamas. Netanyahu on Sunday warned Hamas that Israel will continue to operate against the terrorism stemming from the Gaza Strip, apparently confirming that no official ceasefire agreement had been reached with the terrorist group, Israeli media reported. At the same time, Hamas, condemning Israeli aggression on Gaza, stated that no one can guarantee that a new flare-up of fighting between the two would no erupt again. 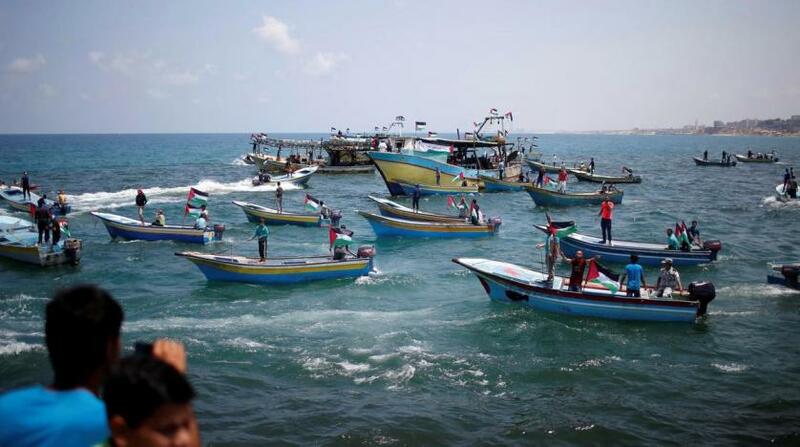 “On the contrary, the possibility of an all-out conflict has raised, as the heightened tension between the two sides is increasing after every round of Israeli aggression on Gaza,” Hamas said in a statement on Monday. The statement argued that despite mediation efforts by the UN and Egypt to ease tensions, neither side was pressured to “avert a full-fledged conflict,” and that “neither side could force the other to meet its demands,” which suggests violence could take place at any moment. Yet, many experts agree that neither side wants to go to war. In a recent commentary, Newsweek columnist Marc Schulman argued that Hamas has lost the chance to gain the sympathy of the world, whose attention has shifted to Syria. Moreover, it would not win a war against Israel. On the other hand, “Israel could reconquer the Gaza area in a matter of days,” but would lose the PA and the Egyptians support on administrating that area. For weeks, the US spoke about the deal’s part focusing on the reconstruction of the Gaza Strip with Gulf countries money, sending White House Senior Adviser Jared Kushner’s to a tour in the Middle East Tour to discuss details with Arab leaders. No more progress was made in that area as Palestinians supported by Arab countries rejected any deal that would compromise historical rights and the status of Jerusalem. After that, Kushner and other US officials including Ambassador to the UN Niki Haley accused Hamas of inciting terror against Israel, blaming the group for failure of any peace process.